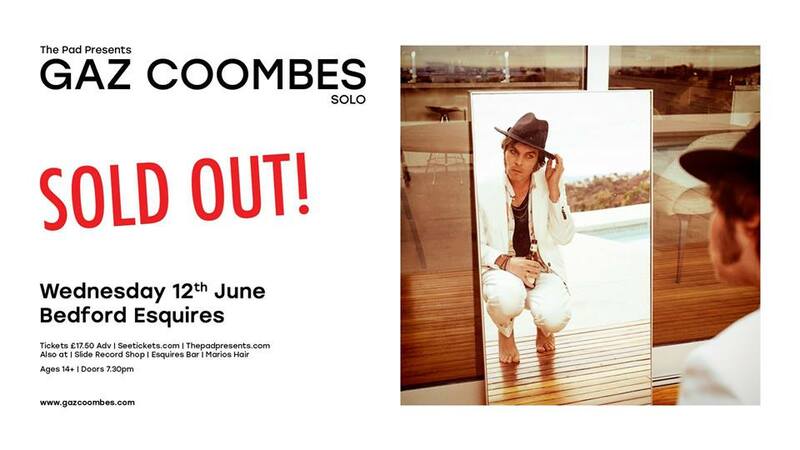 We are absolutely thrilled to be bringing one of our absolute faves, es Supergrass main man Gaz Coombes to to Esquires in June! For nearly two decades with Supergrass, Coombes came to embody the oddball end of British indie and Britpop. But it is through his solo work that he has found himself. With his 2015 album Matador, he presented a new musical identity: wide-screen, emotional, cinematic and full of artistic surprises. It earned him a Mercury Prize nomination. “With Matador I almost got it right…” he says. With World’s Strongest Man, Coombes brings that solo self into dazzling definition. There’s more space and light in the music, which takes its motorik drive from krautrock (first single, Deep Pockets, is surreal night-time car journey) and its subtle soundscapes from introspective West Coast hip hop. Lyrically, he points the searchlight inwards to explore what it means to be free and doing life on your own terms. But this is an album more outgoing than its predecessor – with a greater variety of moods than we’ve heard from him before. We anticipate tickets going very quickly for this one and highly advise picking up tickets in advance.